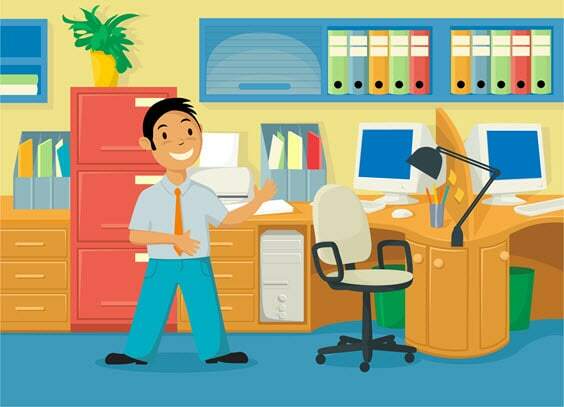 I happen to think that office lighting is probably the most important aspect of any office when it comes to productivity as well as to décor. 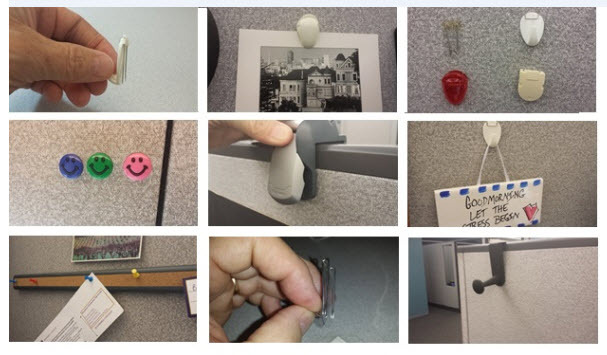 I discovered this many years ago when a coworker of mine had an office cubicle that resembled a plush home office with a standing lamp in the corner that illuminated the space with a soft yet practical lighting. It was like you were walking into his home office and it truly inspired me to introduce effective office lighting into my own work space! 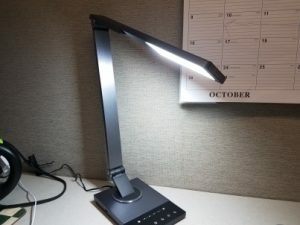 I’ve been using a sunlight desk lamp in my home office and in my cubicle at work for a number of years now and decided to upgrade. Believe me, I love the sunlight desk lamp which I wrote about in this article but after viewing the TaoTronics Metal Desk Lamp LED online with its 5 color modes, 6 dimmable levels, 60 minute timer, favorite function, night mode, and USB port, I decided to take the plunge and buy one for both my home office and cubicle at work. To be perfectly honest I am so glad that I did! It’s also a #1 Best Seller on Amazon with an average of 4.8 out of 5 star reviews. 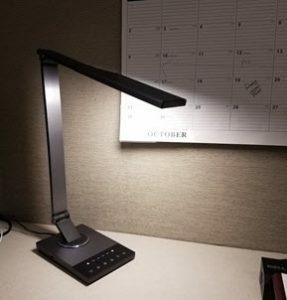 I really didn’t realize what a desk lamp could actually do these days as my existing desk lamp had an on/off switch with one type of light illuminated. 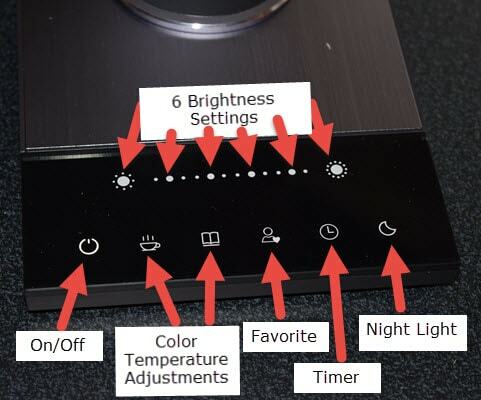 The TaoTronics Metal Desk Lamp LED has so many settings and unique features that it makes it worth the higher price tag. Here is a quick breakdown of the features in the screenshot below. 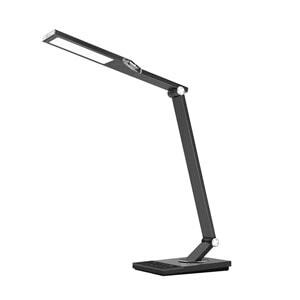 The features seen above are numerous when it comes to this TaoTronics Metal Desk Lamp LED. 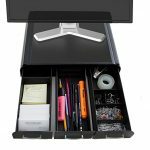 What isn't even shown above is the fact that there is a USB slot on the left hand side of the unit which I use to charge my phone at home and at work! Let's look at the features in detail below. 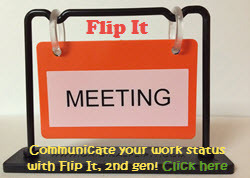 You can check out my YouTube video below of me removing it from the package and setting it up and using it in my home office and work office cubicle! 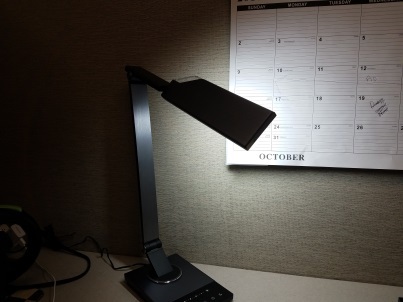 I've used this awesome desk lamp at home and at work (since I bought two!) for about 3 weeks now and I absolutely love it! 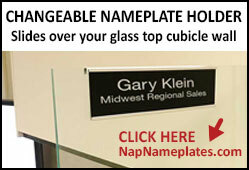 It is so easy for me to recommend this office lighting accessory for your home or work office. 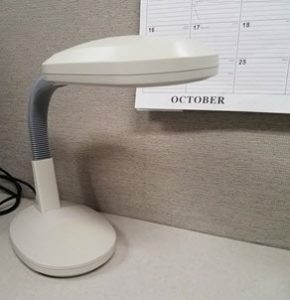 I can't tell you how many comments I have had at work from my coworkers on this very stylish and highly-effective desk lamp. The added bonus of the USB slot for charging my phone made this purchase a no-brainer for me. USB phone charging port is a great feature! If you're looking for a stylish and practical upgrade to your own office, this TaoTronics Metal Desk Lamp LED is worth every penny. 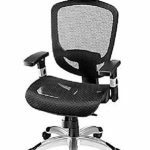 I have one at home and at work in my office cubicle and use them both every day. 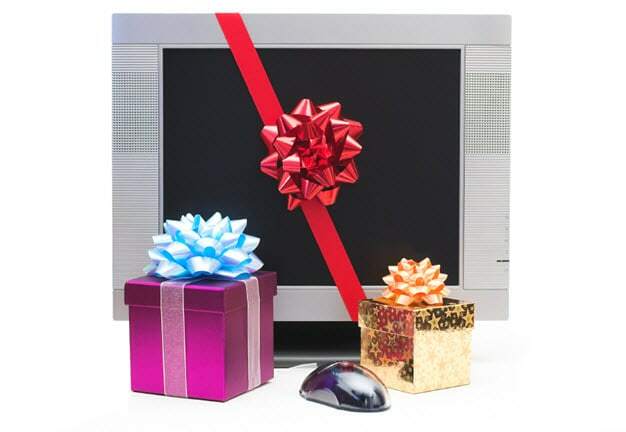 If you're looking for a great gift for a coworker or a loved one this office lighting accessory is a great addition to any office! 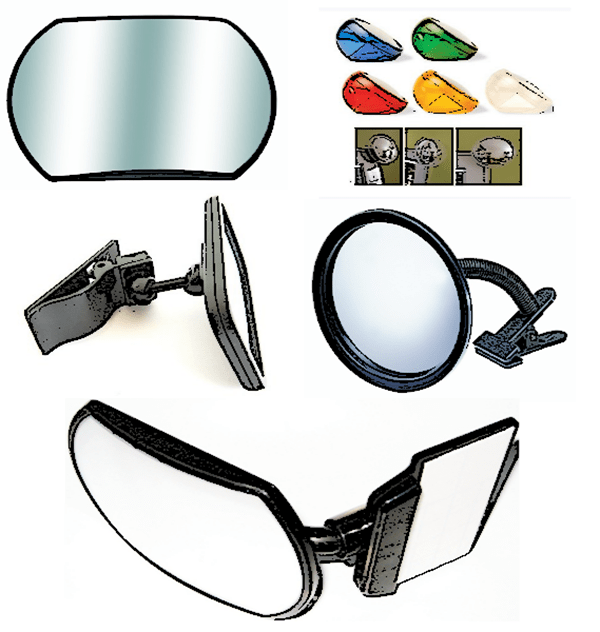 Does the Taotronics lamp actually provide better lighting than the sun lamp? Or does it just have better features? I would have to say Yes on both counts. 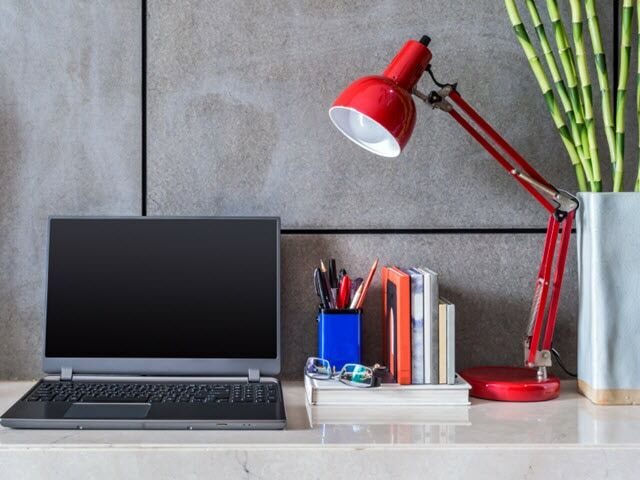 The light with the Taotronics lamp is an LED so it is actually more powerful at the highest setting than the Sunlight Desk Lamp. The Taotronics lamp literally blows away the Sunlight Desk lamp. 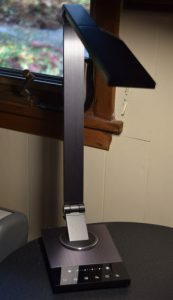 The TaoTronics is currently $49.99 and the Sunlight Desk Lamp is $29.99 so I actually think the Taotronics is a bargain at that price. 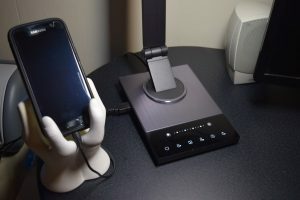 I love the fact that I can charge my phone with the Taotronics lamp and have many different settings of light including a “favorite” setting. It also has a night light if you want to use it. No comparison between the two whatsoever in my opinion.